For the classic leader of the group is the vintage style backdrop and the one of kind butterfly made by one of the many individuals who create the butterflies for the drops around the world. *Shoes are custom made to order. Please allow 3 weeks for the arrival of your shoes. 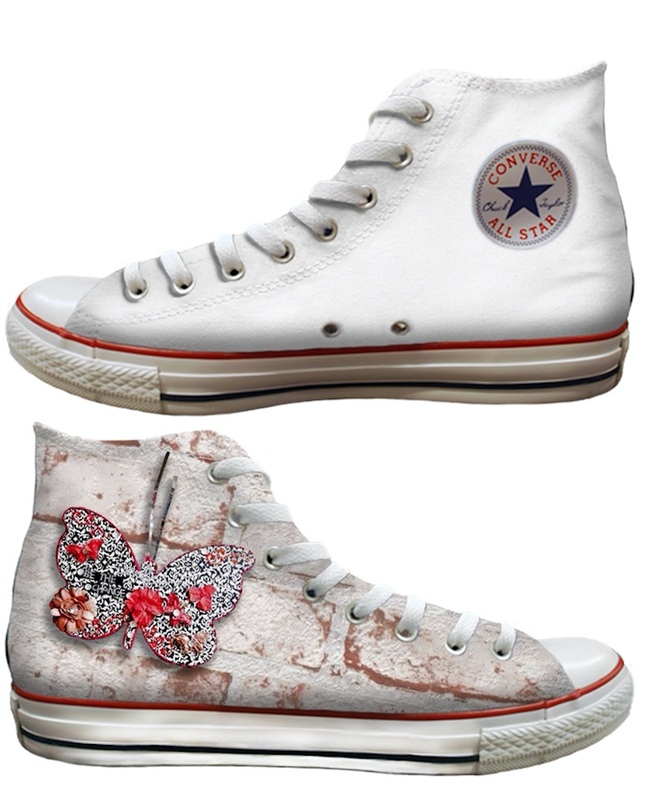 Custom Butterfly Effect Be The Change Converse Shoes are made to order especially for you! Each pair is handcrafted and printed on traditional converse shoes. All proceeds are going to Charity! The outside of the shoe has print, the inside is plain. *Shoes are custom made to order. Please allow 3 weeks for the arrival of your shoes. If you need them sooner, please email connect@shopbutterflyeffect.com and we will do our best to accommodate your needs. Shoes are custom made to order. Please allow 2 weeks for the arrival of your shoes. Butterfly Effect events, sales, butterfly drops, and more, straight to your inbox! Don't worry, we never spam & only send the important stuff!